Dr. Yingyan Lin will join the Rice ECE department as an Assistant Professor in Fall 2018. She is currently the Texas Instruments Visiting Assistant Professor at Rice. 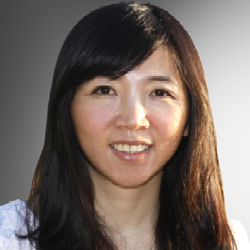 Her research interests are in the areas of energy-efficient machine learning systems for cloud and mobile computing, analog and mixed-signal circuits, error resiliency techniques, and VLSI circuits and architectures for machine learning systems on resource-constrained platforms. She received her PhD in 2017 from the University of Illinois at Urbana-Champaign.